Putting the WOW back in Pictures! All content on this web site is copyrighted. It is illegal to copy, post, publish or print any files, pictures or text without permission. Photography by Ted Keller provides compelling photographic art as archival prints and stunning stock images for your publications. Walls of many homes, offices, and businesses are decorated with our enlargements sold on-line, in art/craft stores, and at trade fairs. Visit Ted Keller's Photo Gallery wall at the Framer's Gallery "Gallery Off the Square," 610 S. Main St., Georgetown Texas. Ted Keller's images have been published in brochures, calendars, greeting cards, newspapers, magazines, books, and advertisements for more than two decades. 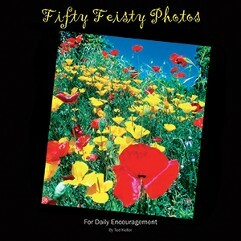 He recently published the photo book "Fifty Feisty Photos For Daily Encouragement." (see our page dedicated to the book). Select images seen on this page or images from our "Gallery" to purchase enlargements or digital files using the "Request Quotes" page. We can teach you to make your own "WOW" images with your camera, phone, or any imaging device! 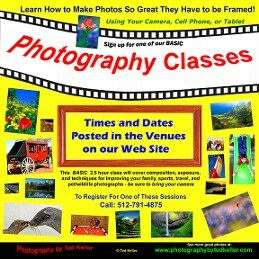 Ted Keller offers mini-workshops and classes, and he is available to work with you as a "personal trainer" to enhance your photographic skills. 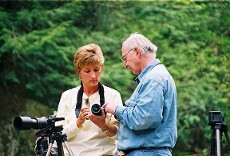 He blends state of the art photographic technique with proven continuous process improvement disciplines from industry. We offer portfolio reviews and constructive critiques of your best work. In addition, we are well-known for helpful analysis of your disappointing photos to provide explanations of what is most likely causing your problems. Our standard classes include: Basic Photography (Travel/Scenic Photography, Amateur Sports Photography, Close-Up Photography and Candid People & Pet Photography); Basic Photoshop Use; Wildlife Photography; and Advanced Photography. 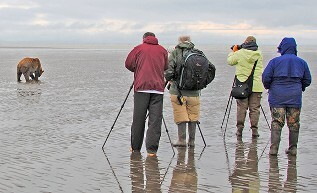 We also provide custom classes; we offer mini-workshops; and we can arrange and lead instructive photographic expeditions for your group. Freelance assignments are accepted. Use our "Request/Sign-Up" page to register for advertised classes that are posted on our Special Events page or to request classes (standard or custom). Simply specify your class interest in the "Message" section of the form. For your special events or vacation memories we can produce multimedia slide shows using your own pictures or our stock images. 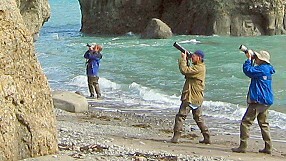 Mr. Keller authors photography-related articles for publication and gives multimedia lectures on nature photography and conservation. He is available as a photographic consultant to assist you with special imaging projects such as special effects or shooting in difficult or challenging situations. We are always interested in sharing our photos in exhibits (current displays are listed on our Special Events page). Businesses and restaurants are invited to decorate their walls with our photographs in exchange for the opportunity for their clients to purchase our artwork (consignment arrangements are negotiable). Use our "Request/Sign-Up" page to make requests or notify us of submission opportunities. Read more about Ted Keller's photographic experience and his qualifications as a photography trainer on our "About" page. We applaud the splendor of creation through evocative nature photographs and teach others how to do the same. "...stand still, and consider the wondrous works of God "
to deliver excellence in everything we do. Read more on our "Business Consulting & Services" page.